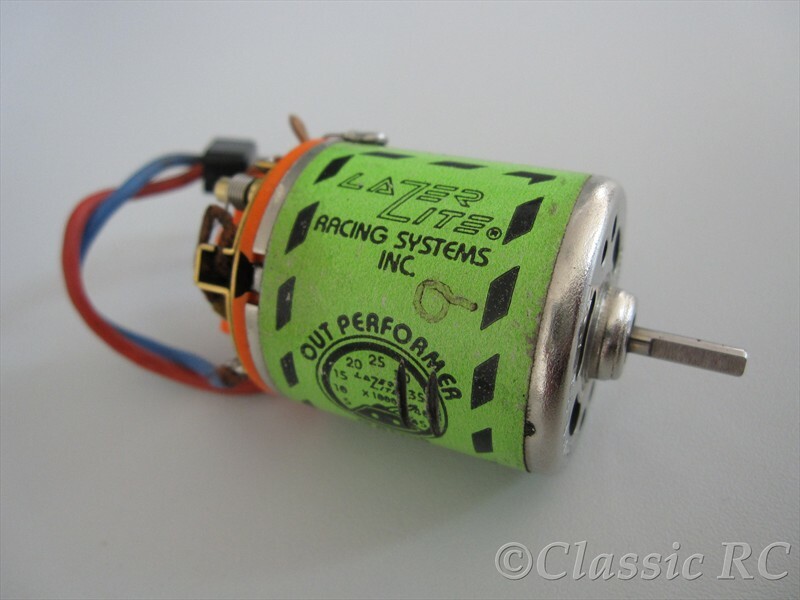 This is a Lazer Lite Outperformer motor made by Florida based company Lazer Lite Racing Systems. 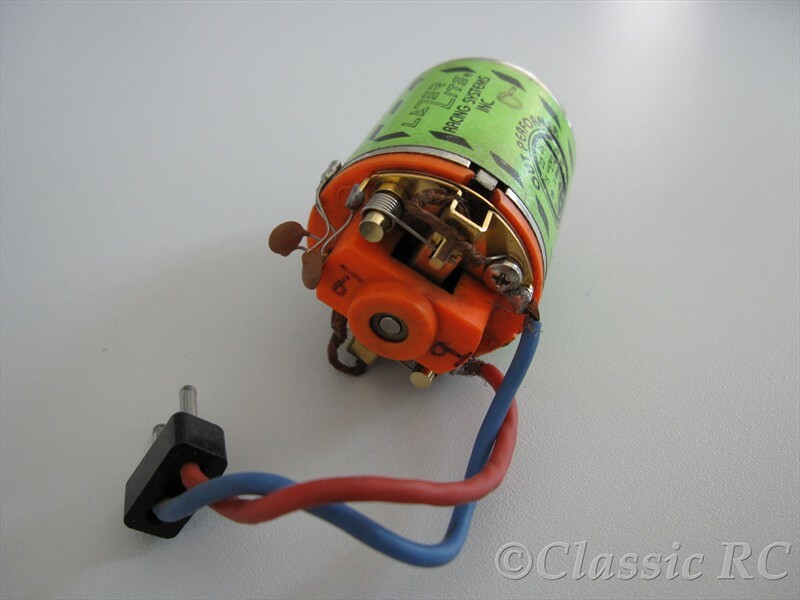 Based on an AYK/Race Prep teardown this motor was sold around 1988/1989. Lazer Lite was known also for making 1/10th scale pancars for onroad and oval racing.